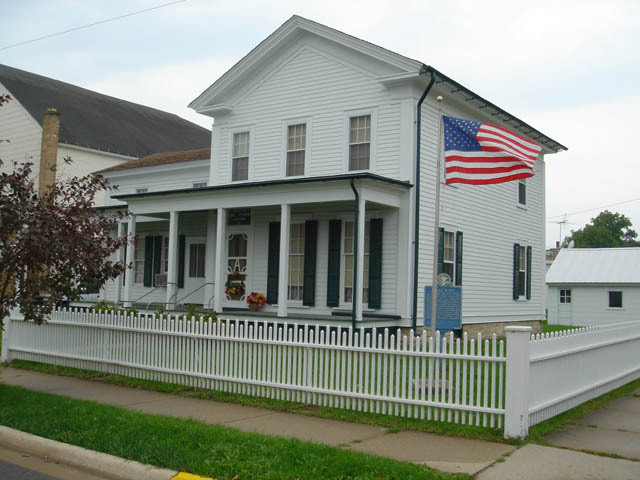 Located 123 North Franklin, Polo il Coordinates Lat N 41:59':236" Lon W 89:34':657"
Abraham Lincoln was a guest in this house, August 15-17, 1856. His host was Zenas Aplington, founder of Polo. 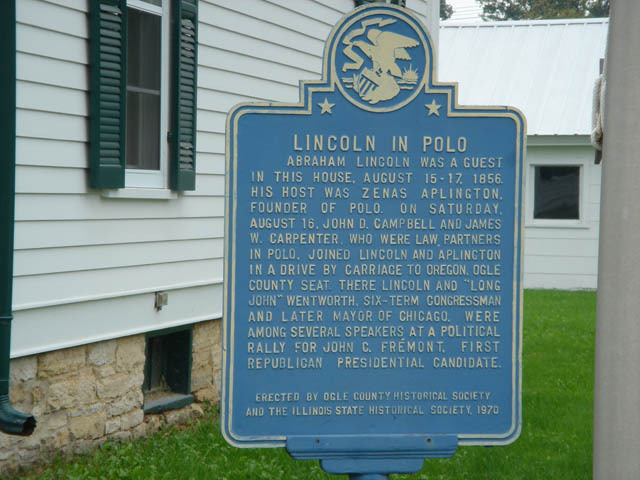 On Saturday, August 16, John D. Campbell and James W. Carpenter, who were law partners in Polo, joined Lincoln and Aplington in a drive by a carriage to Oregon, Ogle County Seat. There Lincoln and 'Long John' Wentworth, six-term Congressman and later Mayor of Chicago, were among the several speakers at a political rally for John C. Fremont, first Republican Presidential candidate.